Overseas balls have acquired a cult following in recent years. But what makes them so special? They’re round just like any other ball. They can knock down ten pins just as effectively as any other Storm piece. Slightly different names and colors, though. And in Storm’s case, they smell pretty good most of the time. The number of calls and emails we receive asking for more info or how to obtain these international releases is staggering. To interpret their surge in popularity we need to take a closer look at just what they are and what they mean to the rest of the world. We techies commonly refer to overseas balls as “private labels” or “OEMs” (original equipment manufacturer) – balls that are produced by one company (Storm) but are marketed by another company (overseas distributors). The international market is significantly different than the US market for several reasons. The primary reasons are differences in customs, sales, and etiquette. 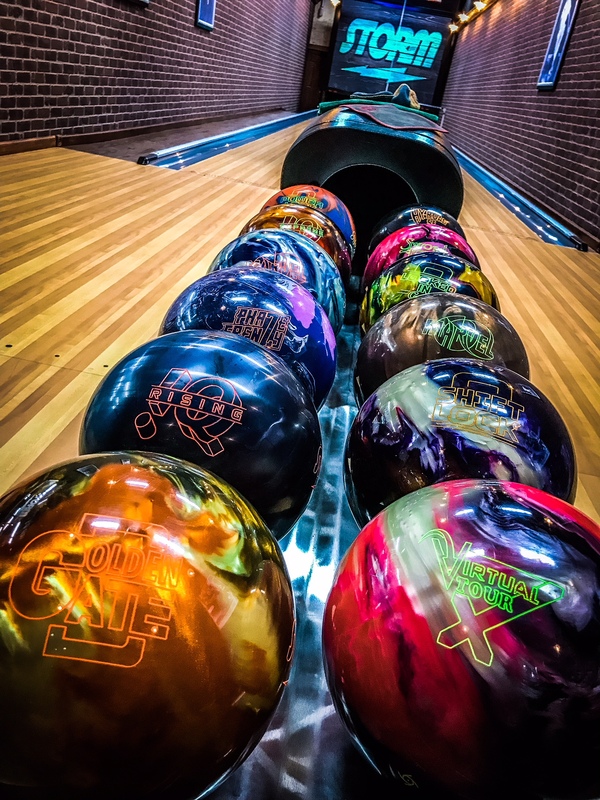 For example, in the United States, if a bowler does well with a particular type of ball, it’s not uncommon to find several of the same balls in a league, or even on the same ball return rack. Word of mouth travels fast where we are. International etiquette is significantly different. For example, if one bowler is doing well in a league or tournament with a particular ball, it is bad form to copy that bowler and buy the same ball. As such, if you are the bowler with the ball, you have an advantage. But if you are the bowler without the ball, you are at a disadvantage. I have experienced this firsthand in my travels all across Japan. Therefore, many of our international balls are almost identical to the standard US release with very small variations, if any. The primary differences are simply the colors, logos, and surface finishes. Otherwise, they are USBC approved with very little difference in reaction or performance compared with what is currently available in our product line. Another key difference is international distributors are usually exclusive to a particular brand. Many of our international dealers only sell Storm brand name products and equipment. As such, they need a larger selection of equipment to sell because they don’t have the same variety available to them since they choose not to associate with any of the other major international brands. Whereas in the US, all of the local distributors have equipment available for sale from any of the major brands. Hence, our product line needs to be expanded for our international customers since they can only sell so many of a particular ball before the market is “saturated”. Storm will release around a dozen balls per year domestically whereas close to 100 different balls get sent to international waters every year. Again, the major differences most of the time are simply cosmetic, with the occasional exception of a core/weight block design whose rights are owned by a certain international distributor that grants them exclusive rights to that shape. Given these reasons listed above, many of our international partners ask for contractual rights to a particular ball and for a limited quantity. 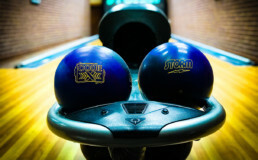 Storm typically runs these exclusive balls only one time and sells them all directly to the distributor that placed the order; sometimes in runs of only a few hundred. Occasionally, a few balls return from the international market to the local market via travelers or returning military, but this number is very low and availability is definitely limited. Once they get poured here in Brigham City, Utah they leave shortly thereafter. Despite being well-nigh similar in performance to our standard lineup, private label balls undoubtedly turn the heads of many for those lucky enough to pick one up. Be prepared to shell out a few bucks, however. It’s not uncommon for enthusiasts to pay $300+ for one of these rarities. No matter what kind of ball you decide to toss, just be sure that it has that good lookin' Storm logo on it somewhere! In the competitive bowling ball market, any ball that doesn’t do better than “good enough” simply can’t compete. Thankfully, this isn’t an issue for the Code X. Although its styling is a bit conservative for this line, the Code X is classically handsome and appeals with strong performance. The colors aren’t the most polarizing, which makes the ball hug the lane for a truer read, but that’s a personal opinion not shared by everyone. If you like your styling more subtle than stand-out with a side of performance that leaves you saying “Wow, I didn’t know a ball could do that…” then the Code X may be in your not-too-distant future. The big news here is that R2S Solid has come into play for the first time in a long time in a Premier line ball. Not all conditions require wide-footprint coverstocks with high oil displacement ratings. R2S has been a flagship formula for Storm and is synonymous with some of the most successful balls in recent history like the Hy-Road and !Q Tour. Of all the coverstocks Storm has used, R2S responds to dry lane friction better than anything else. When this benchmark type chassis coats a weight block that’s as dynamic as the RAD4, I’d be hard-pressed to find something that offers this much versatility. Even though it’s a solid ball, for me, it resembles a matte finish pearl the way it turns the corner. The Code X made easy work of the 47’ mid-volume pattern we currently use in our Monday night Storm Scratch league, which is something I’ll admit to having my fair share of struggles on this year. Because this particular house uses super high-friction synthetics, any ball with too much friction built in, chemically or mechanically, would read as soon as I set it down with nothing left down lane. The Code X doesn’t utilize R3S or Nano technology like its Premier line counterparts, so it skated through the high-friction fronts with ease but retained the mid-lane read and backend change of direction I’ve come to love from my top-drawer asymmetrics. The layout chosen for these two balls was 6x4x3. As always, Storm’s VLS system is an original conception and is the only layout system in the industry that takes the shape of the weight block into account. For this study, I decided to use Kegel's 4:1 Beaten Path. I knew this pattern would showcase the differences between these two balls exceptionally well. I tossed 20 shots on SPECTO with each ball, averaged the results, and created composite motion paths for each along with a comparison chart utilizing the hard data SPECTO provided. 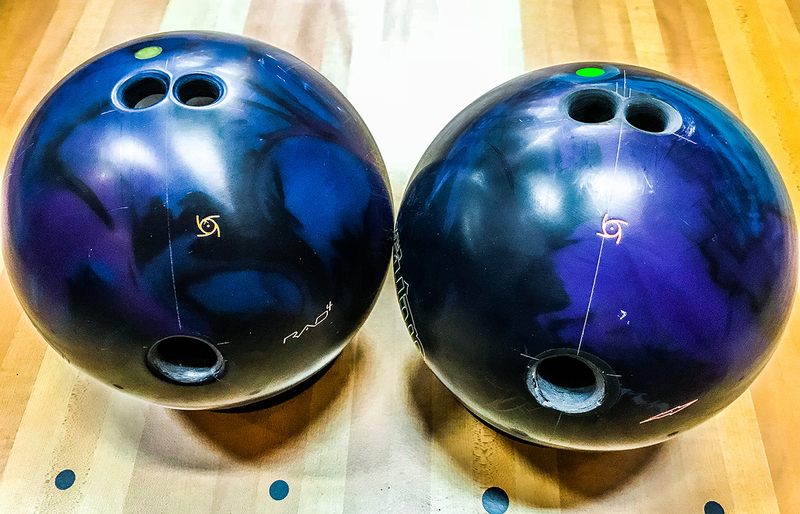 Both balls were resurfaced prior to the test using a Surface Factory machine with new Abralon pads for each to achieve the most consistent finish possible. If you currently roll the Sure Lock or Alpha Crux, but are hesitant make the commitment on another solid Premier line ball, then rest easy. R2S breathes new vigor into the line which helps differentiate it plenty from its Nano-based cousins. I found this the case both objectively and subjectively. Let’s refer to the former, presented below. The numbers don’t lie. With almost 1.5° more entry angle at impact, the Code X handles the corner like that of a racing-tuned suspension on a car that’s designed to dig in to the curves of a snaky, winding road. That may not sound like a lot, but spread that measurement over the last 15 feet of the lane and that can mean the difference between washing out and a high flush strike. Telling the story further, this isn’t a case where the numbers deceive. Subjectively, too, I found the Code X carried considerably better from the deep, inside line compared to the Alpha Crux. The engine that is the RAD4 worked just as flawlessly as the cover. With the layout I chose, it transitions smoothly and quickly. On the comfort side of the equation, I was more than confident from far inside with regards to kicking out the corners than I’ve been as of late with balls of the like. The Alpha Crux lost its axis rotation so quickly, it reminded me just why that ball truly is designed for the heaviest of heavy conditions. If my !Q Tour and Code Black were to fall in love and start a family, their progeny would undoubtedly be the Code X. It’s an excellent blend of power, dynamics, and everyday versatility. It is the bowling ball equivalent of having your cake and eating it, too. Backend responsiveness is immediate and gratifying, without sacrificing what a solid ball is supposed to do up front. I do appreciate the Code X’s quieter exterior as it pirouettes its way down the lane with empyreal grace, yet remains tasteful for what it is. The Code lineage has discernibly paved the way for the Code X, and it’s the Code X that’s going to carry on this sterling reputation for quite some time. Storm has a full-time tech representative ready to answer any questions you have about the Code X or any other Storm product. Please call (800) 369-4402 (Mon-Fri, 8am-5pm MST) or send an email to tech@stormbowling.com (anytime). If you watch the best in the world bowl on ESPN, you will see the best in our sport cover more boards on a lane, with more speed, than you and me. And you’ll often hear it said that the top professionals have a phenomenal ball roll. What does that mean? Don’t all of us who participate in the sport of bowling roll the ball, in some fashion? The answer is ‘yes’ but while we all roll the ball when we bowl, we all apply a different type of action to the ball. Some have more side roll and rotate more quickly. Others look like a top when they go down the lane, not the best professionals in the U.S., mind you. And we can talk about the ‘spinner style,’ which dominated the recent World Championships in Las Vegas, at a later date. Do you consider two-handed sensations like Jason Belmonte, Osku Palermaa and Kyle Troup to be “crankers?” If so, it is because of their high rev rate. Defined as how fast the ball rotates over a specific length of time, usually minutes, rev rate relates to the amount of energy transferred from your release to the bowling ball. Players who generate the most powerful strike balls do so with a strong, leveraged position, their fingers well below the equator of the ball. And they do so not only with a cupped wrist, and possibly bent elbow, but also through proper use of the strongest muscle group in their body, their legs! Try lifting a heavy suitcase with just your arms, and you’ll quickly realize how often you use your legs without even thinking about it. A cranker will have a rev rate of at least 400 rpms, or revolutions per minute. Tweeners have less hand action than the cranker, and will have between 200 and 400 rpms. The straightest players, the strokers, have less than 200 rpms. Which category do you fall in? Find out and you will be one step closer to fully understanding your game! A player like Pete Weber has nearly the exact opposite. The 90 degree axis rotation generates maximum hook on the backend and yields unmatched power at the pins. This is most often referred to as the high risk-high reward type of roll. A majority of players, however, fall somewhere between these two extremes. A moderate amount of side roll is considered the optimum amount. Exhibited by nearly ¾ of the entire PBA tour, the 45 degree rotation will surely give you a nice combination of power and predictability. In closing, be sure to know your ball roll. Remember the three variables: rev rate, axis rotation, and axis tilt. The better you understand your game the easier it will be for you to select the proper ball and layout for each lane condition! And to learn more about Storm’s line of high performance equipment, spend some time on our website, www.stormbowling.com, or feel free to contact me via e-mail at stevek@stormbowling.com.